Whether you’re jumping across one single time zone or you’re planning to take a trip halfway around the world, jet lag is a serious issue for so many travelers. 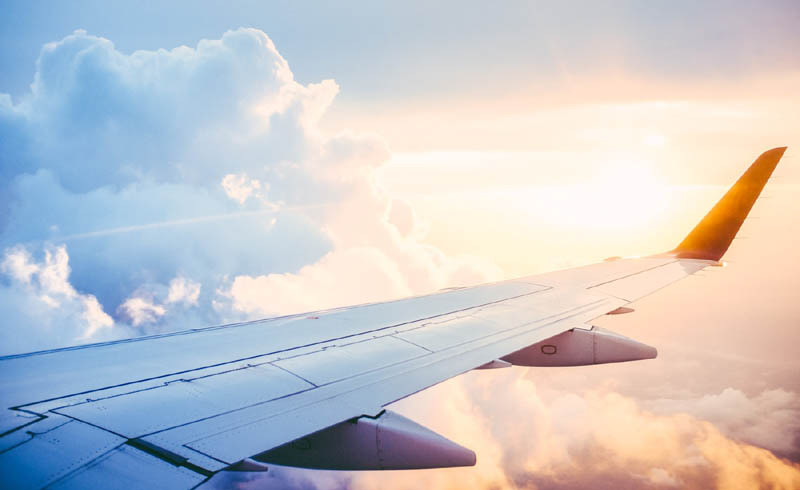 Often people think it’s an inevitable side effect of air travel, but in reality, there are plenty of ways you can combat the likelihood that you’ll suffer from the worst symptoms of jet lag. Even changing time zones one hour can have serious repercussions on your body. That’s because your body’s internal clock is so highly attuned and adjusts feelings of sleepiness depending on light and darkness. This tells your body when to sleep and also affects hunger, blood pressure, and your overall mood. Jet lag can make it difficult to fall asleep even if you’re completely exhausted. You might find yourself waking up multiple times once you do manage to drift off, even if you aren’t typically an insomniac. Other side effects include stomachaches, higher stress levels, loss of brain power, and lethargy. Most people experience jet lag both arriving to and returning from their travel destinations – talk about a buzz kill! In a survey conducted by Leesa Sleep, a whopping 98% of all participant have experience jet lag in their lifetime. The CDC reports that jet lag is not a serious condition and that the best cure is simply enough time to readjust. But if you have plans, you may want to overcome jet lag effects faster so you don’t miss out on important activities – or suffer through them while feeling sleepy, cranky, and not like yourself. One of the best way survey respondents helped fight back against jet lag was by taking quick naps whenever they were tired. 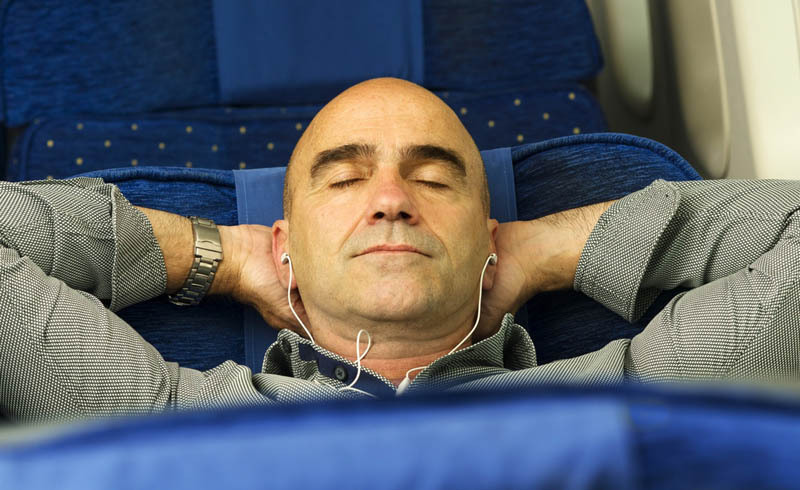 Even if you’re not typically a person who naps, this is the easiest way to ensure that your body gets the sleep it desperately needs while traveling. Even if you only have an hour for a little bit of sleep, napping can make you feel more energized for the whole day. Melatonin is a natural hormone your body makes that helps regulate sleep cycles in your brain. Melatonin supplements may be used as sleep aids when you’re trying to adjust to different time zones. Travelers who participated in the study said taking melatonin was one of the most effective ways to combat jet lag. Sometimes the best thing you can do is give yourself time to adjust. If you’re traveling afar, build in an adjustment day at the beginning of your trip before scheduling any firm plans. On the return trip home, never expect that you’ll feel up to returning to work the day you get back. Taking an extra day in the beginning and at the end of your trip can make all the difference and may even shorten the amount of time it takes to feel normal again. It may be light outside, but that doesn’t mean you have to stay awake past your bedtime. If you’re only traveling a few time zones away, try pretending you’re still on the same schedule and either going to bed late or early for where you are. This will help you adjust more quickly to your normal time zone once you return home. Drink more water is always the answer, right? Staying hydrated will help mitigate symptoms of jet lag such as headaches, nausea, and brain function. Some people suggest fasting as another way to help prevent jet lag, and staying hydrated is a great way to make fasting easier. You may not realize how much sunlight and darkness affects your body’s internal clock. Ask if your hotel room (or the place you’re staying in) has light blocking curtains. If it doesn’t, you can purchase temporary versions on Amazon. Sleep masks are another great way to regulate light exposure. Drinking a huge cup of coffee or an energy drink should be used as a last resort – after all, the energy boost you’ll get from excessive caffeine consumption is often followed by a crash at the end. But you can’t deny the short-term happiness you’ll feel when the caffeine does its magic. Avoiding jet lag isn’t too difficult when you plan ahead and stay realistic!